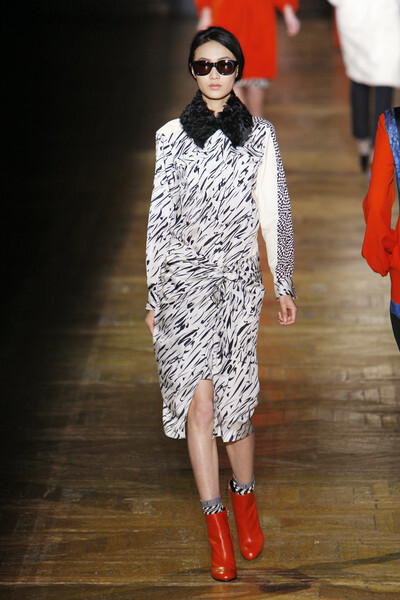 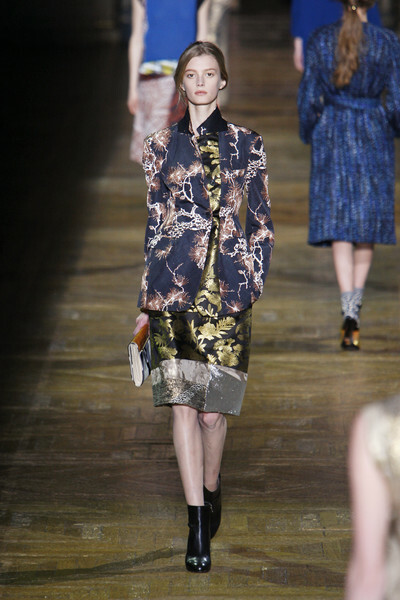 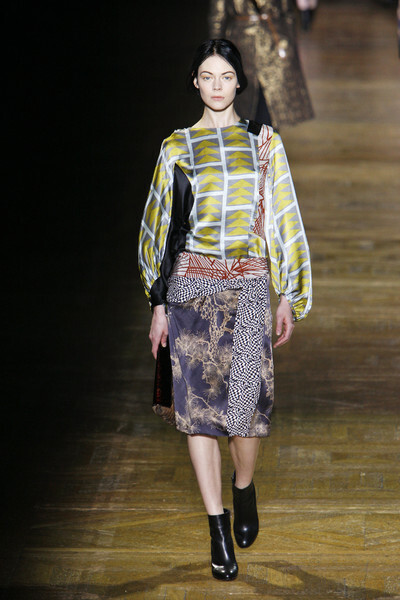 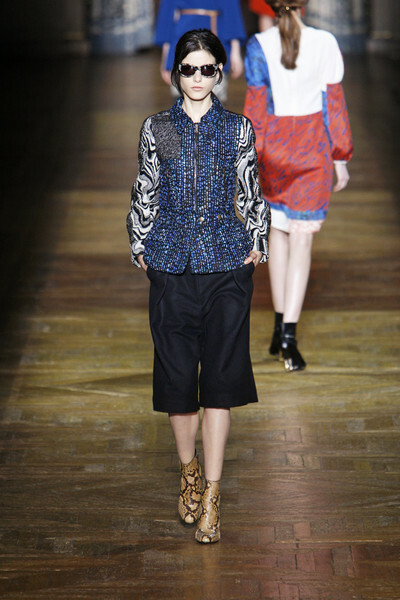 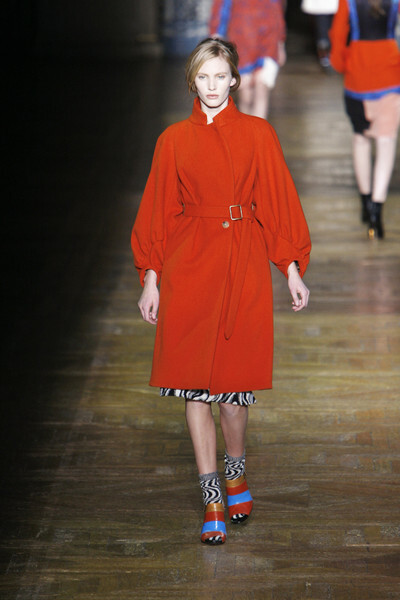 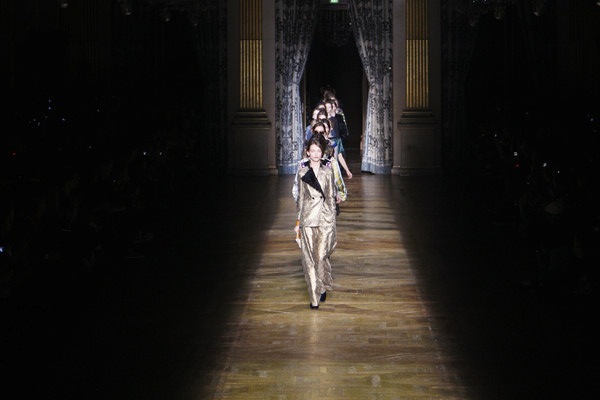 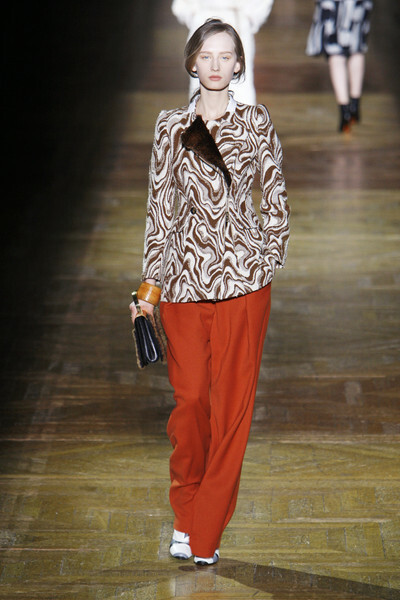 Dries van Noten presented a beautiful, restraint collection, mainly in black, white and camel with flashes of color and exciting prints. 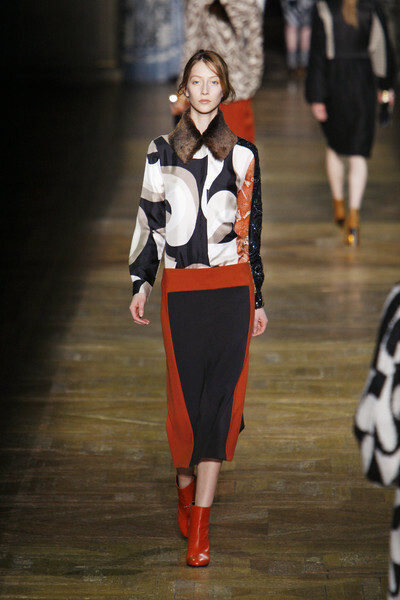 He got inspired by David Bowie and the Ballets Russes and translated that into a romantic collage of print, color and textures. 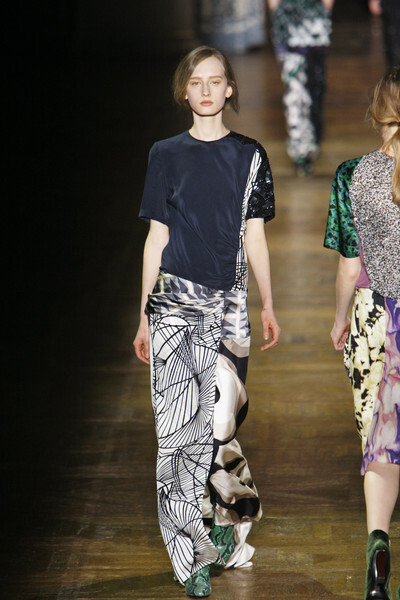 And it was ultrachic. 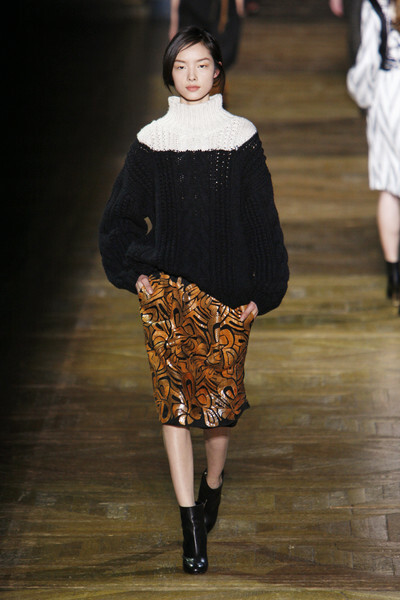 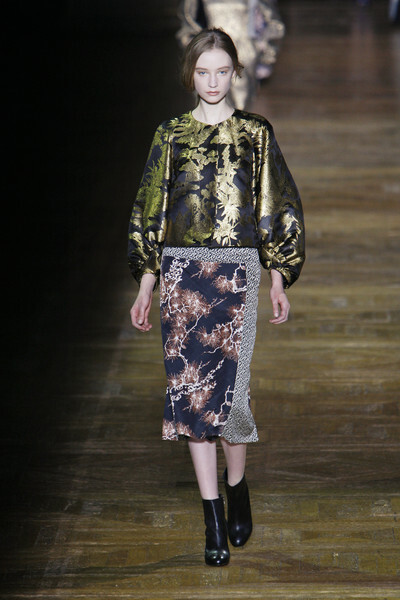 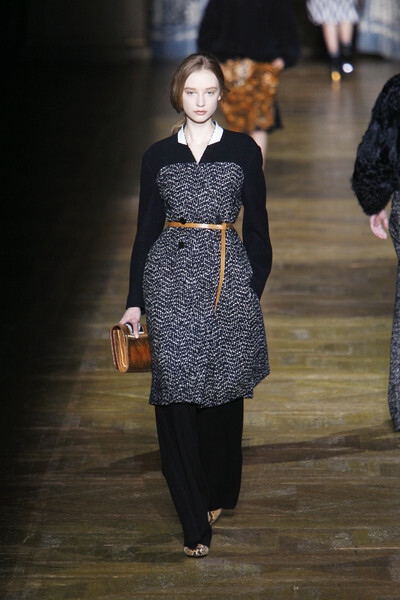 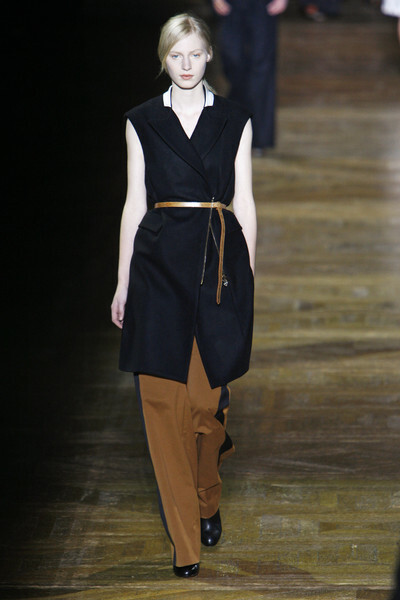 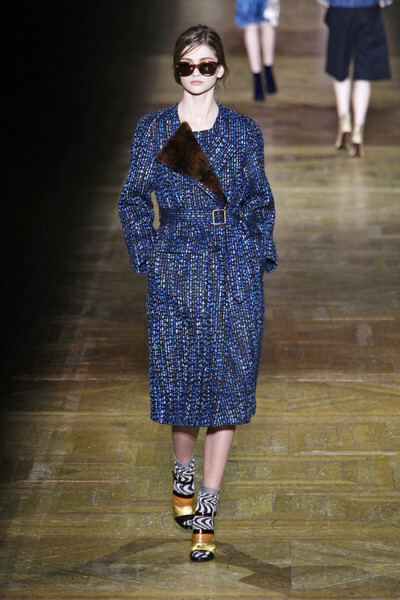 Lond coats over pants, golden skirts with black sweaters and dresses cut with intense yet visually discreet asymmetry.